Did you know that January is the busiest time of year for vacation rental bookings? It certainly is, and for good reason! Most families that vacation do so in the summer, during "high season". This is the most sought after time as the children are on summer break from school. Historically, the top destinations for summer travel within the United States are located in Florida, Hawaii and South Carolina. In order to make sure that your family has the best vacation yet, book your summer vacation soon to get the best properties! At Perfect Places, we are already getting swamped with summer bookings, so give us a call, we don't want you to miss out! It's not a surprise that Disney tops the list for family travel as it is every child's wish to go to Disneyland! 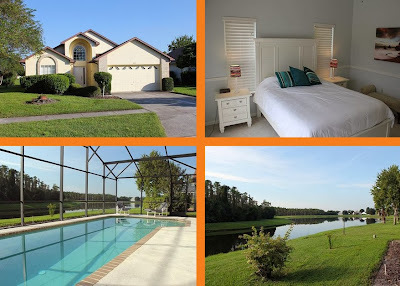 This is definitely an area in Florida that offers a large inventory of vacation rentals, but because it's such a busy time of year you do need to book as soon as possible. This Clermont, FL private vacation home is amazing to say the least. With 10 bedrooms that sleep 20 and 5.5 bathrooms, you have room to share this property with family or friends! The kids will not want to leave as this home is decorated like a fantasy. Rooms are decorated in themes like candy, circus and outer space. 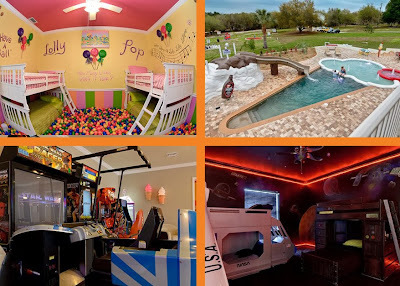 There is even a ball pit in one bedroom, a chocolate slide in the expansive private pool, theater room, game room, rock band/karaoke and more! Spend your day at Disney, but enjoy a few days at this home as well! If you are going to Disney, and need an Orlando 3 bedroom vacation home close to Disney, this is a great choice! Just minutes away from Disney, Universal Studios and Sea World, this home will provide you a wonderful vacation. This vacation home features 3 bedrooms and 2 bathrooms, private outdoor pool, and a pond view! Another great thing about this property is the price ranges from $77-$109 a night and is very highly rate by our customers. Try it out for yourself for your next stay in Orlando! Hawaii is no doubt one of the top destinations to visit on vacation and Honolulu is the most visited city of the Hawaiian Islands. This beautiful city is located on the island of Oahu and boasts beautiful beaches and mountains. It if the home of the world-famous Waikiki Beach where the water is so blue and clear, and the surf is legendary! 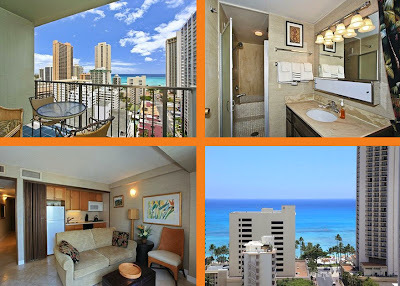 This Honolulu, HI vacation condo has 1 bedroom and is situated with an ocean view! 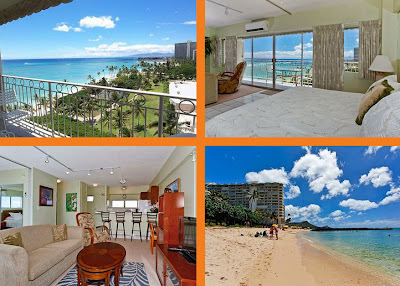 The property is on Waikiki beach and is the only condo building located right on the beach! Enjoy your large lanai with views of the ocean and mountains, free internet and local calls, full kitchen, and a washer and dryer! Another great option for a vacation rental in Honolulu is this wonderful 1 bedroom condo located just a 5 minute walk to Waikiki Beach! With ocean views, excellent furnishings, and a pool, this condo is a great way to spend your vacation in Honolulu. An added bonus-the price ranges from just $125-$145 a night! What a fabulous location and a fabulous price. This area of Florida is one of the top destinations for visitors. The beautiful beaches and warm waters of the Gulf are very attractive. It is known as the luckiest fishing village in the world, but it's not just about fishing! Destin is also extremely family friendly, and in the summer months, this is the place to be for families. It's very important to book your Destin vacation early! 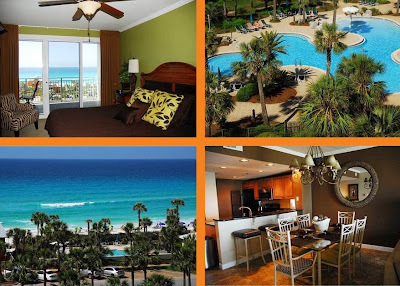 Stay in this 3 bedroom and 3 bathroom oceanfront condo in Destin! This is a beautiful condo, and offers enough space to sleep 8 people. The gated property offers many activities that everyone can enjoy like a large pool with waterfall, hot tub, tennis court, basketball court, fitness center and it is located across from the popular Big Kahuna's Waterpark! 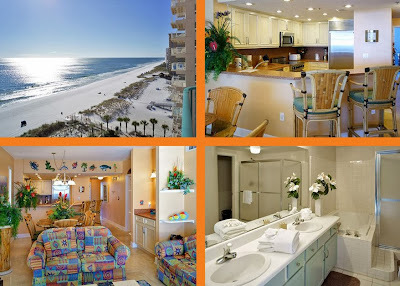 If you are looking for a wonderful vacation condo in Destin with a huge oceanfront pool, look no further! This beautiful condo is located in a beautiful building on the most beautiful beach! This Destin 2 bedroom oceanfront condo features views of the Gulf of Mexico and the lagoon style pool. There is a master bedroom with a whirlpool tub, large flat screen tv's, washer and dryer, and it's all decorated in luxury furnishes! The property itself offers 2 large pools, a fitness center, beach side snack bar and so much more. What once was only accessible by boat, Hilton Head Island is a top destination in South Carolina as well as the United States. With it's historic charm and unique walking paths that allow travelers to access the island mainly by foot, it's a lovely place to relax. It also has over 40 golf courses, beautiful beaches and the average ocean temperature is 82 degrees. This island is truly one you must see! 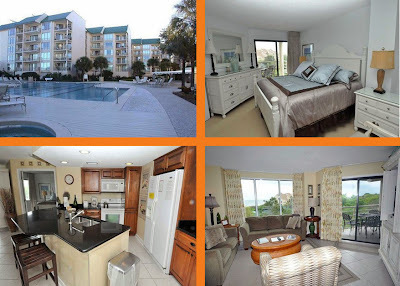 Here is a wonderful 2 bedroom and 2 bathroom ocean view condo in Hilton Head Island! This spacious condo has room to sleep 8, ocean views from the private balcony and a great price tag at $142 a night! The property has a heated oceanfront pool, a kiddie pool, hot tub, indoor heated pool, sauna, steam room and fitness center! What a great place to stay! 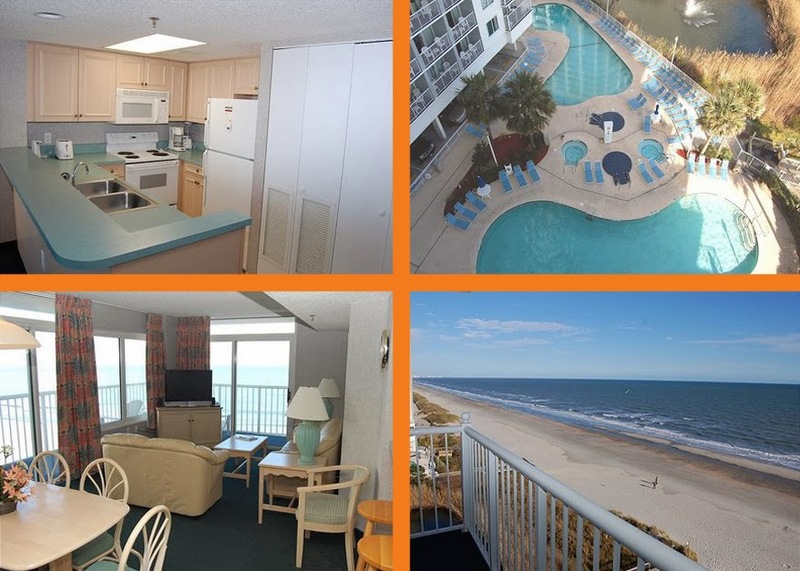 Known as the Grand Strand, Myrtle Beach is one of the premier family and beach destinations in the United States. With something to do for everyone, it is a wonderful place to take a vacation this summer and the cost is relatively low. Because of it's popularity amongst families, these properties start to book up within the first 2 months of the year. Come enjoy the beautiful beaches and weather this summer in Myrtle Beach, SC. A nice ocean view condo, located right on the beach! This 3 bedroom and 2 bathroom condo sleeps 8 and features a wrap around balcony that boasts views of the Atlantic Ocean. The property offers many pools, lazy rivers, kiddie pools, hot tubs, restaurants and a tiki bar! You really do not have to ever leave this wonderful Myrtle Beach vacation rental! We hope that this information will help you with your summer vacation plans. Remember, we are here to assist you in your travel plans, so please contact us if you have any questions!